The Investigation was produced in the round. 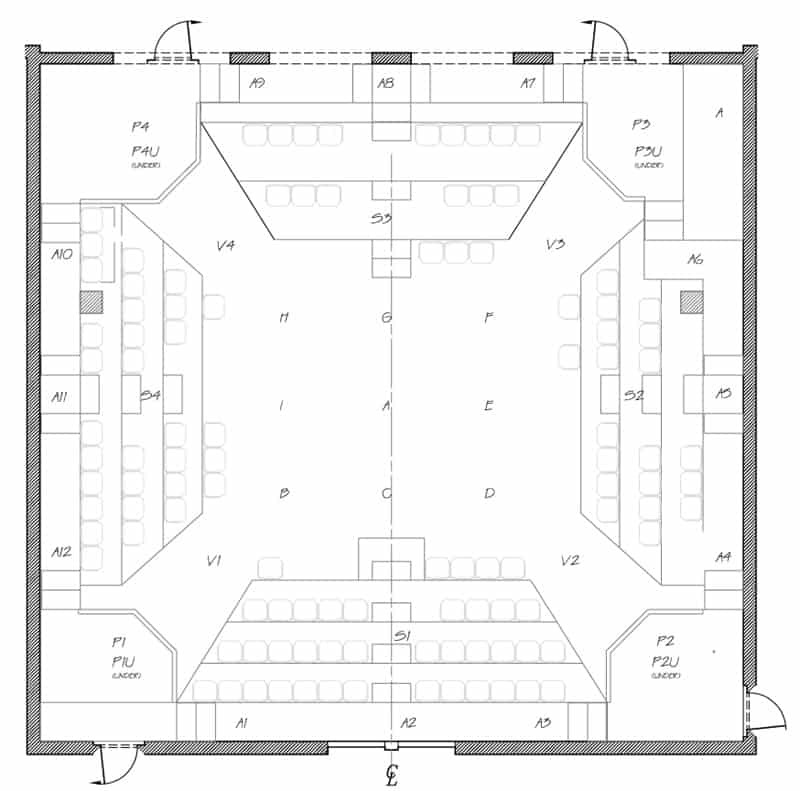 This design converted Studio theatre from a thrust space into a four-sided arena. 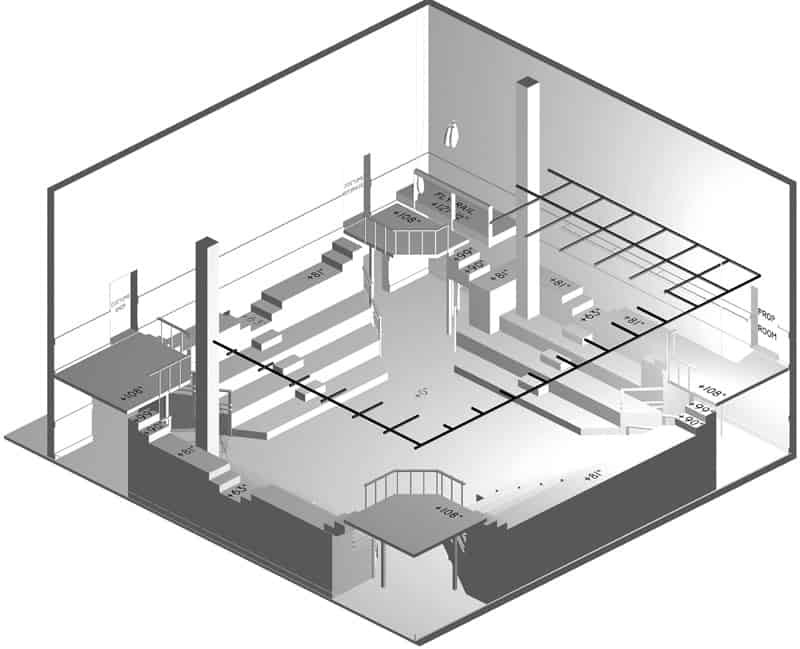 with a playable mezzanine all the way around behind the audience. 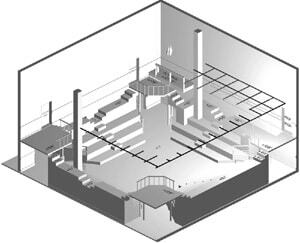 In each corner, there was an entrance both at deck level, and at the mezzanine level. This show is an exploration of war crime trials in the aftermath of the holocaust. Other than the judge, all characters are either jews or nazis. The cast entered with the audience, and took preassigned seats. As the judge called witnesses and accused, specials came up on these people in their seats, seated among the rest of the audience. The audience quickly realized that the victims and the perpetrators were among them, and often were seated right next to them. This was a powerful dramatic device, particularly in light of the horrible nature of the acts being discussed. The function of the set design was to provide great freedom of movement throughout the audience areas. 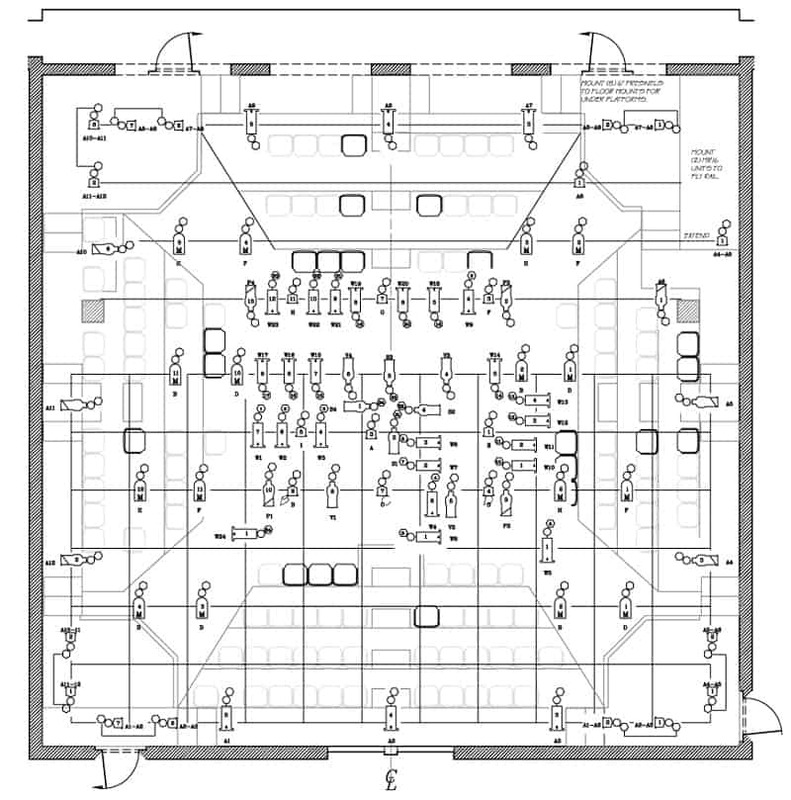 and entrances and exits, and to do so while maintaining the look of a simple empty theattre. The function of the lighting design was to look accidental at times, and to be able to isolate individual seats in the audience. 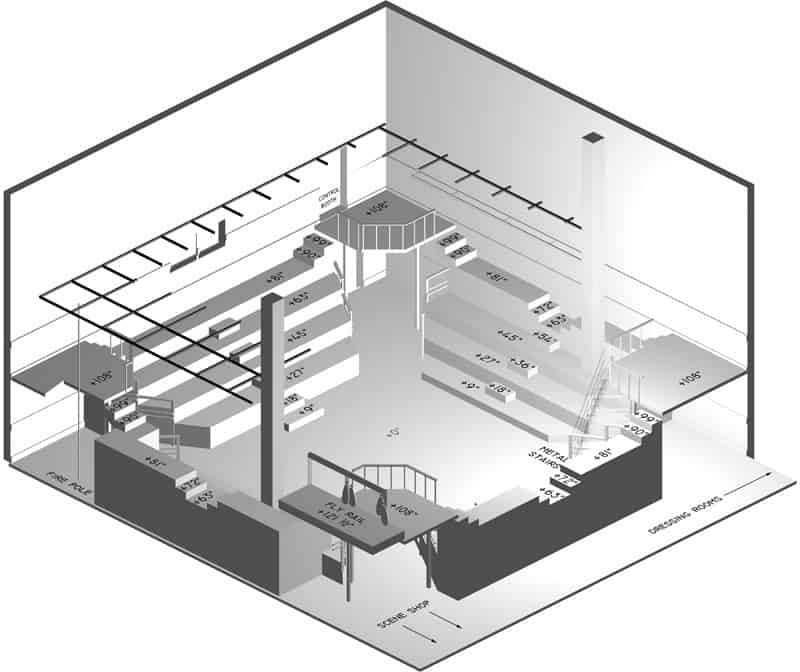 Ambient light was generated by shooting instruments through the ductwork above the lighting grid. Much of the plot was specials focused on specific chairs. Key audience chairs are in bold on the plot.